Uncertainty about roles and responsibilities are concerns of family caregivers. These concerns include 1:1 care, emotional and social support, and care monitoring, coordination, and advocacy. Physical stress, worry, and emotional overwhelm are shared caregiver experiences that result from long lists of care responsibilities that never seem to end. Caregiving roles and responsibilities are unique because they encompass a wide range of roles for which healthcare and social service providers lack expertise. Healthcare hands off tasks to specialty care agencies. Social service providers hand off tasks to other service providers. Disconnects in care coordination are common and frustrating for family caregivers. Caregivers are responsible for personal care with ADLs, household management, medical oversight and healthcare advocacy, to medical and legal decision making. Many caregivers learn through trial and effort and are afraid of making mistakes. 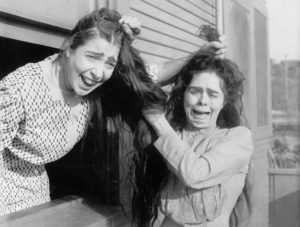 The roles and responsibilities of caregiving become so frustrating that caregivers want to pull out their hair or run away for a few hours. Many feel guilty about feeling frustrated, angry, or anxious when these are normal feelings of caregivers whose lives have been interrupted to care for a loved one. Information gaps exist in caregivers underestimating the types and amounts of information that is needed and helpful. Caregivers don’t know what they don’t know. This lack of knowledge results in challenges for managing disease progression and daily care needs. According to the CDC (1), the top 7 chronic diseases are (1) heart disease, cancer, chronic lung disease, stroke, Alzheimer’s disease, diabetes, and chronic kidney disease. Coordinating care and managing disease progression is different for all situations. Caregiving roles and responsibilities change at the beginning, middle, and later stages of chronic disease. For example, an older adult experiencing a stroke may require a higher level of care while physically recovering from weakness on one side of the body. Care for an individual with Alzheimer’s disease increases over time. For older adults, an initial sign that care is needed is difficulty performing activities of daily living (ADLs). ADLs include bathing, managing continence, dressing, eating, toileting, and transferring. Additional assistance is required with paying bills, home maintenance and safety, laundry, housekeeping, meal preparation, shopping and errands, and transportation. This falls into the category of 1:1 care. Other gaps include identifying services, managing life changes, and navigating medical and legal responsibilities. Managing changes relates to changes in the life of the caregiver and changes in the life of the older adult. Caregivers restructure their lives to accommodate caregiving roles and responsibilities. For example, a change in daily schedule to take an aging parent to a medical appointment or visiting the parent’s home before or after work. Other changes are the activities caregivers “give up” to manage caregiving roles and responsibilities. Time with friends and family, attending religious services, engaging in hobbies, social outings, become rare for caregivers who become isolated as the result of caregiving roles and responsibilities. Changes for the older adult are many. These relate to the loss of ability to complete tasks without assistance. Assistance is needed to attend medical appointments, manage medications, complete daily care, communicate with healthcare and service providers, and manage financial and legal matters. These are time-consuming roles and responsibilities for family caregivers who are eventually needed to assist with all of these activities. Older adults also experience loss related to peers who also have health concerns and those who pass away. Losses in daily abilities and personal connections become significant for older adults. Learning to cope with change is an important part of receiving care. Caregivers receive satisfaction from providing good care for loved ones. Confidence grows from learning to manage difficult situations. Relationships with loved ones become closer due to the increased amount of time spent together. Some caregivers move aging parents to live in their households. When this occurs, it is important to have an option to revise the agreement if it does not work for all involved. Stress results from physical and emotional challenges. Older adults who need hands-on physical care, present more highly demanding situations for caregivers. The challenges of assisting with daily personal care results in poor sleep and physical injuries from transfers, lifts, bathing, and repositioning. Family dynamics are challenging when disagreements occur about the care provided for a loved one. Caregivers of persons diagnosed with dementia experience higher stress levels as needs continue to increase as the disease progresses. While many caregivers would not change the situation, many experience emotional and physical illness from caregiving roles and responsibilities. Caregivers neglect their own health and well-being. A lack of time is often cited. Self-care for caregivers is an area that can be supported by attending weekly groups and having accountability partners. Joining caregivers in similar situations who realize the personal risks and agree to act is beneficial. Providing emotional and social support for loved ones requires partnership, cooperation, and finding the middle ground to support family participation. Support includes: providing companionship, participation in hobbies and activities. Managing family conflict and differing opinions can be emotionally draining. Caregivers come to me for support navigating significant conflict and disagreement about care needs within the family. Families are embarrassed about difficulty “getting along.” In high stakes care situations, where roles and responsibilities for care is complicated, and multiple individuals are involved, managing family conflict is a regular part of caregiving. The most time-consuming aspect of caregiving responsibilities is monitoring care, coordinating with the healthcare system, and advocating with service providers. This is another area of high conflict. Gaps exist between healthcare opinions of care and treatment versus family desires. Healthcare bias exists against treatment for individuals with dementia and those considered old. As a court-appointed guardian and power of attorney I have battled with physicians, nurses, hospital and care community staff about care for my clients. Healthcare providers who are insensitive to the experiences of older adults and family caregiver can be adversarial and intimidating. Caregivers lacking confidence and experience may be fearful to stand up to providers. Poor recommendations deliver even worse results. Service providers may not meet family expectations. Gaps in care recommendations and coordination occur. Family caregivers must be the collaborators to close gaps in care and treatment. Family caregivers must also use the knowledge they have about loved ones to advocate when healthcare partners disagree. It is rare for physicians and healthcare providers to ask a caregiver what help is needed to care for an aging parent. Even rarer for providers to ask caregivers what they need to help themselves or to coordinate care for loved ones. Caregivers are uncertain where to turn to receive accurate, reliable, and trustworthy information. Caregiving is hard work; both stressful and rewarding. The stress is constant, relentless, and ongoing. Caregivers benefit from seeking support. The Internet offers technologies that support live on-line support groups and programs. Research confirms these programs to be effective in reducing caregiver stress, anxiety, depression, and in building confidence. Check out my family video playlist of short videos about practical solutions for many caregiving concerns. And stay tuned for live on-line caregiving support groups and programming. 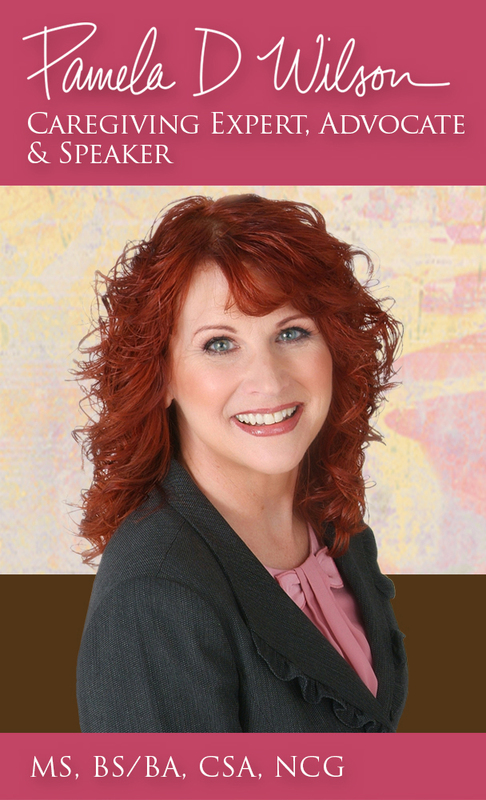 Pamela D. Wilson, MS, BS/BA, CG, CSA is a national caregiving expert, advocate and speaker who solves caregiving problems. Since 1999, she has been a direct service provider as a court-appointed guardian, power of attorney, and care manager. In response to the need for accessible, accurate, reliable, and trustworthy information Pamela offers on-line caregiving support and programming to solve caregiving problems, advance healthcare literacy, and promote self-advocacy. 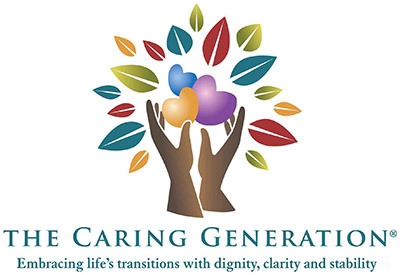 She collaborates with professionals in the areas of estate planning, elder law, and probate, financial planning, and healthcare to raise awareness of and sensitivity to family caregiving and healthcare issues.